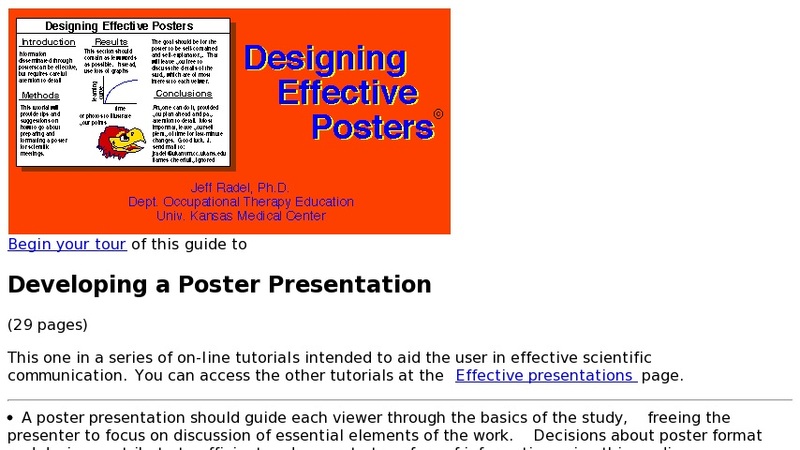 This website presents an online tutorial about creating effective poster presentations. The site guides users through the basics of poster design, which should free the presenter to focus on discussion of essential elements of the work. Decisions about poster format and design which contribute to efficient and accurate transfer of information using this medium are also discussed.